Iraq will see parliamentary elections on May 12. A new government will be formed and new president will be elected. 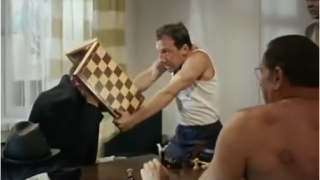 It will be the fifth parliamentary elections after U.S. invasion of Iraq in 2003 and the first elections after actual destruction of Daesh terror group (Islamic State, ISIS, ISIL banned in Russia). Iraqis are to elect a new 329-seat Council of Representatives (parliament). 6,990 candidates representing 87 parties and blocs will be running for the parliament. 25 percent or 83 of parliamentarians shall be female, 9 – representatives of ethnic minorities and confessions (including 5 Christians). Ongoing election campaign is as never disintegrated. Earlier Shiite and Sunnite poles of Iraq used to come out from consolidated positions during elections, whereas now domestic political field is fragmented dramatically. Shiite forces of Iraq are represented by five separate political blocs, Sunnites – by two ones. 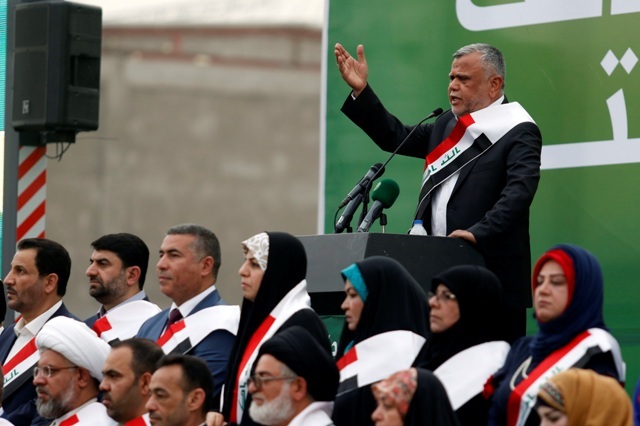 Lack of unity among Iraqi Shiites that make up a majority in the country offers prospects of long and complicated process of government formation after May elections. A poll conducted in March among voters of 18 Iraqi provinces revealed concerns of citizens of long-suffering Arab country – security issues, jobs and social and economic situation. Political parties and blocs give similar answers to these issues ahead of voting day. This reality has not helped consolidating domestic field in Iraq against major challenges. 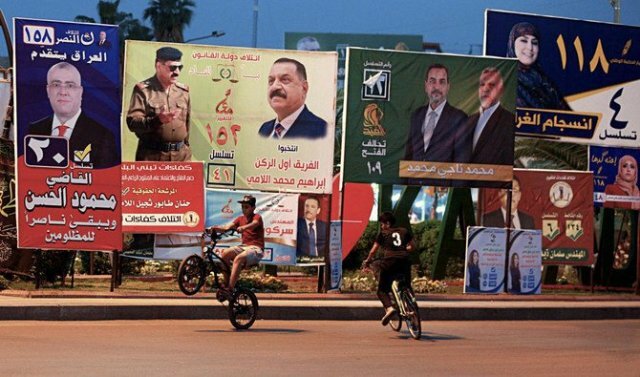 With a few exceptions, the political forces running for parliament in Iraq represent the same politicians and forces that run for parliament in the “post-Saddam” elections of 2005. Prime Minister of Iraq is a representative of Shiite majority, whereas the parliament speaker is a Sunnite. President with representative functions represents Kurds. The following five coalitions are running for the parliament: Nasr (Victory) chaired by Prime Minister Haider Jawad Kadhim al-Abadi. The name and basic program provisions of the bloc refer to previous victory of ISIS terrorists. Prime Minister al-Abadi who is Supreme Commander of Iraq’s Armed Forces under Constitution prioritizes destruction of the powerful terror organizations. Such prioritizing seems more important to him considering that one of Nasr bloc’s major rivals on Shiite side is al-Abadi’s predecessor on the post of prime minister, current Vice President of Iraq Nouri al-Maliki. He represents Dawlat al-Qanun bloc (State of Law). Once Haider al-Abadi was a member of that political bloc that split after ISIS invaded Iraq’s territory in 2014 and army suffered a series of painful defeats. Victory and State of Law blocs will face off with Fatah (Invasion) headed by Hadi al-Ameri (leader of Badr Organization) and Hikma (Wisdom) led by Ammar al-Hakim, leader of Supreme Islamic Council of Iraq. Fatah Bloc represents the so-called “Shiite militia,” various militarized groups of Shiite militia Al-Hashd al-Shaabi (Popular Mobilization Forces). It is believed to be the most pro-Iranian force in Iraq. The fifth coalition in the Shiite camp is al-Sairun (Alliance of Revolutionaries for Reforms) that are associated with the movement of Iraq “Sadrists” led by oppositionist politician – theology specialist Muqtada al-Sadr. The latter joined pre-election union with the Communist Party of Iraq. Sunnite forces are concentrated around two party lists: Al-Qarar al-Iraqi bloc (Iraq’s Decision) led by one of the three vice presidents, Osama al-Nujaifi and his brother, Mosul Mayor Atil al-Nujaifi. Second is Al-Wataniya alliance (Fatherland) with leaders Salim al-Jabouri, who is acting parliament speaker, and Saleh al-Mutlaq, former deputy prime minister. Sunnites failed to overcome their internal discrepancies to run for parliament with a single Party list. They have to pass perhaps the hardest test for the last 15 years. Local analysts say there are no guarantees that Qarar al-Iraqi and Wataniya will win even in the northern and western provinces that suffered three-year-long occupation by ISIS. Haider al-Abadi’s Shiite bloc Nasr counts on majority of votes in Mosul, the second largest city in Iraq where mayor is Sunnite Atil al-Nujaifi. Polls revealed that almost 80% of citizens would like to see prime minister retaining his post. This indicator is even higher – 90% in the territories liberated from ISIS. 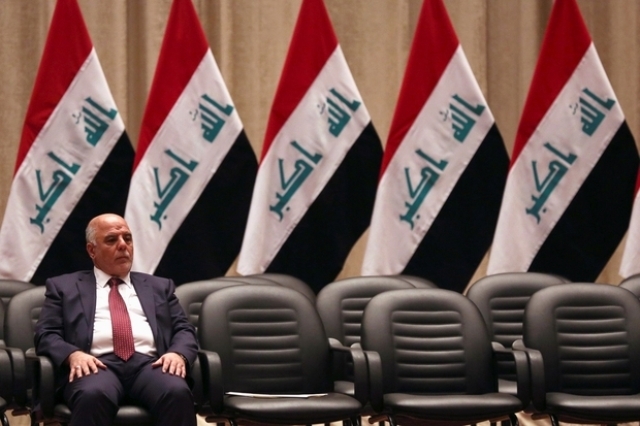 However, Haider al-Abadi’s approval rating is not likely to ensure as many votes for his bloc Nasr. Experts in Baghdad and other cities agree that domestic “political bargaining” is inevitable after voting. It is very likely that al-Abadi will retain his post of prime minister and will have to form the “government of national unity.” Sunnites and their political leaders prefer al-Abadi to ex-prime minister Nouri al-Maliki. Representatives of pro-Iranian Fatah bloc are expected to form part of the new Cabinet. United States will express its stance, if needed. Al-Abadi seems very comfortable for it and it has already sent certain signals in favor of incumbent prime minister a few days before voting. The U.S. forces will remain in Iraq and neither Washington nor Baghdad specify how many troops will stay in the country. They will continue “assisting and equipping missions in support of the Iraq’s Security Forces,” Pentagon said in a statement. As for Russia, it has no reasons to distrust Haider al-Abadi, with whom it has rather warn and trustful relations since 2014. Cooperation of Iraq and Russia in military and technical, energy sectors, and their combined efforts to fight terrorism will not be affected irrespective of voting outcome. Another matter that some external factor may create problems for the military and technical cooperation of the two countries and Russia’s participation in Iraq’s oil and gas projects. Baghdad is still under Washington’s influence and U.S. keeps imposing sanctions on Iran and confronting with Russia over Middle East is diplomatic arena.